Click to supersize the closeup photo above. 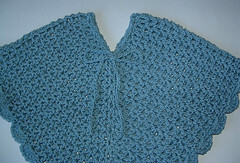 I crocheted around the neckline to create eyelets for a drawstring closure. 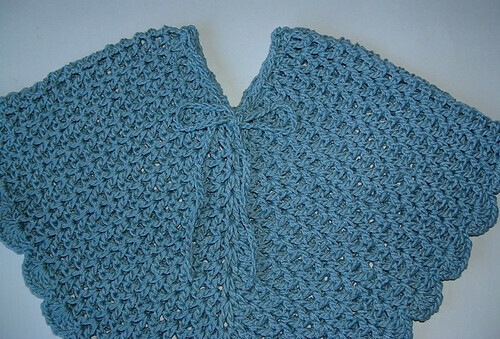 I worked a SC and chain 2 in each stitch around the neck opening. I then just made a long chain and threaded it through the eyelets to complete my drawstring. And that’s it — The poncho is finished! This is cute. 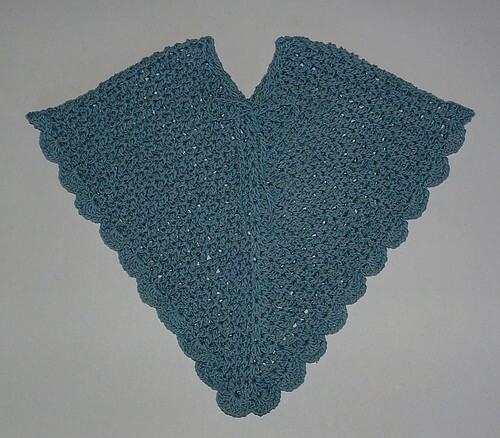 I like it and because it’s cotton it’s easily washed and dried.